“If I am cut, do I not bleed”………Stigma still simmers. Stigma is an odd thing. It has always seemed very odd to me that a person you know well, may be friends with you and has interacted with you for many years can suddenly, on learning one key thing about you, suddenly go cold, shun or even stop talking to you. The reason. They discover a fact about you. Despite all the positive friendship one small detail can alter their perception of you despite the evidence of their experience of you. That little gem of information. You have a mental health condition. I have encountered this on several occasions in my life. It cost me a job once. Ignorance? Fear? Whatever the emotion it generates within an individual it is beyond me that people make a judgement on that one piece of information instead of all the experience they have of you or without making an effort to discover you despite that. I had thought that with all the good work that has been done in recent years we might actually be turning a corner and that people had more understanding and knowledge of what those words “Mental Health” actually mean. For goodness sake 1 in 4 of us are going to be experiencing it in our lives at some point. But, it is still there. In the last week my experience has been that on discovering I have Mental Health problems I suddenly seem to have lost the ability to understand complicated words and need talking to a bit slower and also with some kind of sympathetic tone. Being excluded from a discussion while being sat there while other people with me were talked to. Hello. I may have a touch of paranoia here but what? It’s a damn shame that we have to create safe communities where mental health is not an issue but who and what you are is valued. Space2Create is an interesting place for this. To a casual observer there we are a group of people together who have illness to deal with. But there in that group are the very experienced teachers, artists, photographers, data analysts, managers, doctors, social workers, hairdressers, researchers and a whole host of other professions. The common theme is they have had some kind of illness. It does not stop them being those things. 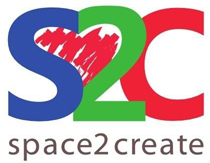 Space2Create values that diversity and taps into it. We encourage people to use their skills to the mutual benefit of everyone. To the group, the organisation and ultimately to themselves on a road to recovery to give themselves the confidence to use those skills. What none of us need are people who only see the health condition label. Our illness does not define us. Open your eyes and see potential not barriers and help those people who are struggling to be able to work and live free from some damn stupid stigma by a selfish few. I don’t know really where to start this week. From a personal point of view it has been a difficult one but ultimately one that resonates with the celebration of 70 years during which the NHS has been a security blanket for everyone in the UK regardless of age, situation, wealth, status or any other measurable attribute of an individual’s existence. There are a few strands to me ramblings this week so bear with me, they all lead to one very clear conclusion. I am sure that all those who read this have been touched by the NHS at various times in their lives. I know I have. Dedicated staff in the NHS have saved my life a few times, patched me up, repaired damage which might otherwise have had massive consequences for my quality of life and generally has been there when I needed them. Regardless of who you are the NHS staff do this as best they can. Yes, we may have to wait for appointments or sit in busy waiting rooms for a few hours but that is not their fault. As I write this my wife is in their care with issues that stray across several departments all of whom are working to help her recover. That’s the first strand. The NHS is not perfect and things are very tough at the moment but the people in the NHS do their damnedest to make you well. AT S2C we work closely with Mental Health Services, local GP’s etc. In recent times the pressure on services has been horrendous and we see constantly the effects of Government Policy on those services. Waiting times go up for Mental Health patients, options reduce, support is evaporating and the staff of these services are just as frustrated as the people who use them and put themselves under massive stress to try to deliver. Not their fault. Trying hard with limited resources.2nd strand? In the course of developing a project with local health providers I have come to be aware of several things that have, and will, have an effect on how S2C works and what it does. In a good way, expanding what we can do. Till recently we have always been an over 18 organisation but in the light of what is slowly becoming a crisis we feel we will best serve the community by changing to work with all ages. I find it abhorrent that we seem to be blindly walking down a path which will leave the next generation with a massive mental health crisis and an absence of support. Mental health problems are increasing among young people, rapidly. Increasing anxiety, depression and suicide. There is nothing more damming to a society than when a 12 year old is so isolated from reality, unsupported and unable to cope with the pressure they are under that they feel there is no other way out but to kill themselves. And when social media supports that action, advises ways to do it and makes it an acceptable thing to do we should all hang our heads in shame. An education policy that has firmly shifted from “do the best you can” to “unless you achieve this you have failed”, social media reinforcing messages that you should look this way or act that and nothing else is acceptable. 3rd strand. So what support can these children expect. A long wait to be seen, several weeks due to the underfunding and lack of trained staff in CAHMS, the young people mental health service. A government that will tell you it is investing more than ever to put right these problems while quietly shovelling contracts out to Private Companies. 4th strand. The thought that our lives are being handed out to private firms makes me cold. The NHS is there for the single purpose of helping us. As soon as you add in a private company to the equation you factor in profit. To deliver thesame service as the NHS the only way is to cut costs, lower wages, inferior equipment, less time and the profit to keep shareholders happy. So as we celebrate 70 years of the NHS please reflect on how many more anniversaries we will be able to celebrate.